HKS has been released various tuning parts for "86 & BRZ." 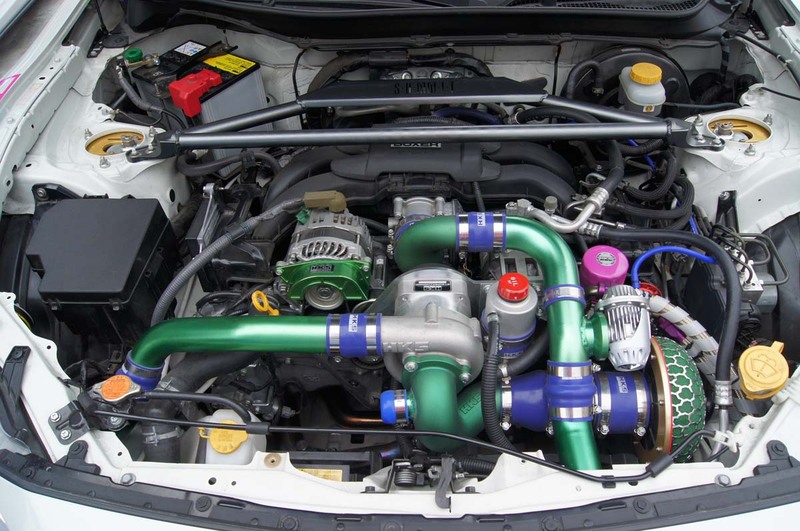 Among HKS' 86 & BRZ parts, the supercharger kit has been redesigned and become a more powerful kit! 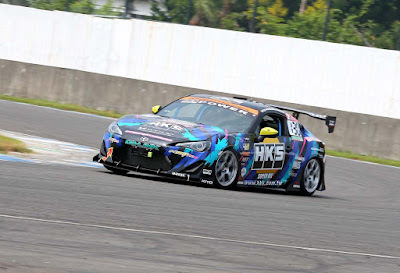 The efficiency improved by layout change of piping around the throttle and utilizing a bigger size intercooler. Compared to stock, 35% higher output and 45% higher torque are achieved. 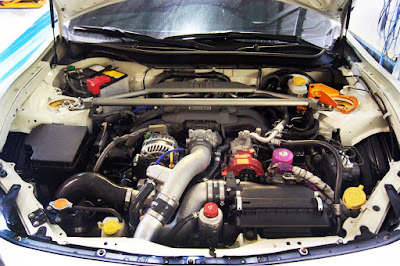 Fuel Upgrade Kit for higher engine output is also released for engine output of over 300PS. 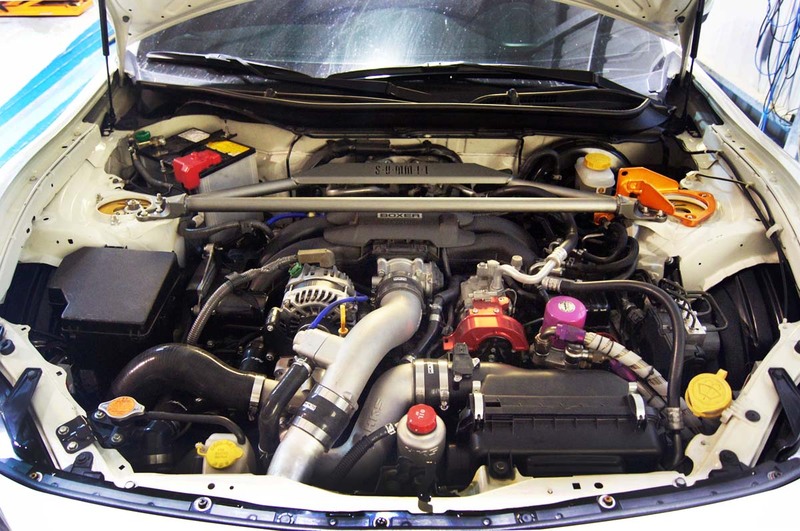 For the owners of the conventional Supercharger kit, Intercooler Upgrade Kit is available to convert the existing kit to new version. Using the stock air cleaner enables sound isolation of the supercharger; the quietness is dramatically improved. Free to select the engine management tool. 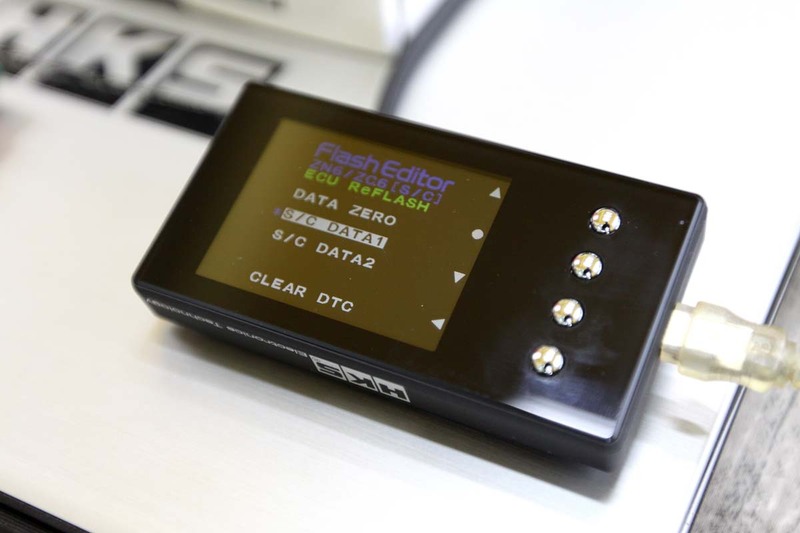 (For JDM vehicles, Flash Editor including the data for this Supercharger Kit is available for easy data rewriting. The new design of reverse revolution Supercharger (GTS7040L) can have smarter installation layout. The drive in the town would be better because this product can solve the torque problem around 4000RPM of stock vehicle.